We were fortunate to have a good turnout for our first Forbes Landcare Bushrangers planting event on Saturday morning at Gum Swamp. It was great to have a range of ages, with 17 people, giving up their time to contribute to the Painted Snipe Project and working to improve the habitat at Gum Swamp. 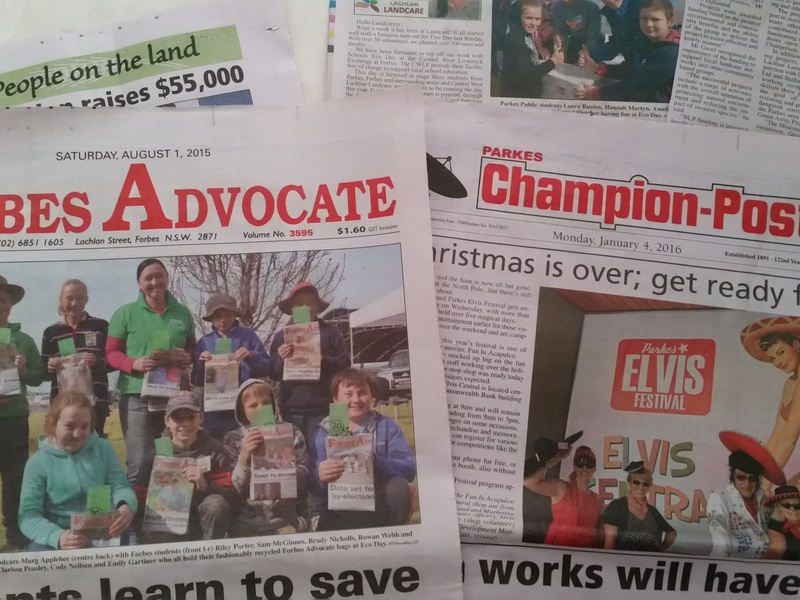 The Painted Snipe Project is possible with funding through the National Landcare Programme, provided by the Central West Local Land Services in partnership with Forbes Shire Council and the Central West Councils Environment and Waterways Alliance. With partnership and volunteers we can achieve so much more and we value their contribution to this project and much work that has been completed in the past. As mentioned in previous articles, one of the major weeds that we had to address at the site was Noogoora Burr and we had a chance to make volunteers familiar with the burr (and remove them). When the water level at the Swamp is reduced further, we will be holding a follow up planting day to plant out some of the macrophytes that need to be planted below the normal water level and thrive in deeper water conditions. 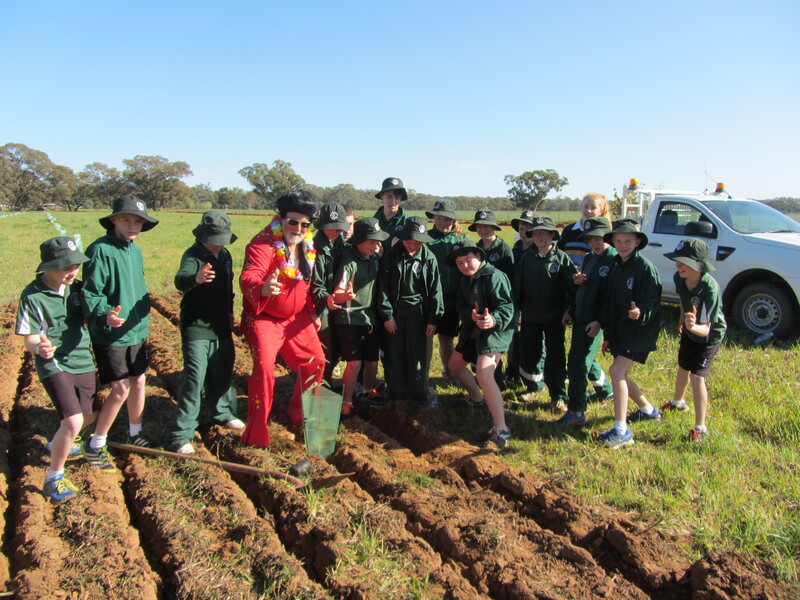 We finished off the mornings planting with a well-earned morning tea and some interesting discussion about Gum Swamp. It was good to get to know other people in the community who are committed to making a difference. The focus of the Forbes Landcare Bushranger activities is being involved in the community and appreciating our natural environment. These are short, social, planting mornings. Even if you can’t plant and would just like to be part of the activity, you would be welcome. If anyone is interested in being involved in our next planting morning, please contact me. Details below. Good news for those who are hoping to provide feedback on the NSW Government Travelling Stock Reserves (TSR) Review. The Review is seeking input from the community on the current uses of the 6,500 TSRs across the state and the deadline for submissions has been extended until 5pm on Friday, 7 July. The Central West Local Land Services (CWLLS) want to know why you think TSRs are important and what their values are. If you want to have your say, go to the CWLLS website or the links are in this article on facebook and our web page, or pop into the CWLLS office in Forbes or Parkes. In June 2011, Gerald Carnie, a committed Landcarer from the Parkes area, died suddenly at the age of 46, leaving his wife Lorraine and sons, Ryan and Jarrod grieving and the Landcare community shocked. The Gerald Carnie Memorial Award for Keeping the Landcare Flame Alive was established by Landcare NSW to recognise this very special individual’s contributions to the Landcare movement. This honour is awarded at the bi-annual NSW State Landcare Conference to an individual in recognition of their contribution to the development of “the philosophy of Landcare”. The recipient will champion the development of Landcare as a means to support and engender change in attitudes, which translates to a more cohesive and resilient community that acts to achieve a healthier environment and/or more productive and sustainable farms. Applicants will be judged on the impact they have had at the local AND regional or state scale to ensure that Landcare can prosper. Submissions for nominations close on Friday, 1 September 2017. For further information and links to further information in this article, please go to our website at centralwestlachlanlandcare.org, our facebook page or ring 02 6862 4914.